Laura Doyle is Professor of English at UMass Amherst, where she arrived in 1995 after seven years as Assistant Professor at Harvard University. She holds a BA from Beloit College, an MA from the University of Illinois, and a PhD from Brandeis University. In the Fall of 2010, as Leverhulme Research Professor in residence at the University of Exeter (UK), she presented Leverhulme lectures throughout Britain and Ireland. At UMass, Doyle is co-organizer of the World Studies Interdisciplinary Project (WSIP), together with Professor Mwangi-wa-Gĩthĩnji (Economics). WSIP fosters interdisciplinary work in global and postcolonial studies, with a strong historical focus. In a range of forums, WSIP brings together social scientists and humanists to engage with recent scholarship in world history, especially insofar as it enriches current studies of capitalism, empires, and cultural history. Doyle is the main PI for the Mellon Foundation grant awarded to WSIP for the 2015-16 Sawyer Seminar Series, "Beyond Medieval and Modern: Rethinking Global Paradigms for Political Economy and Culture." Doyle's research and teaching explore the dynamic intercultural formation of literary texts: the ways that they are written and read within an uneven, volatile, geopolitical field of relations; the ways that literary genres and traditions often intimate the long history of these writing conditions; and the ways authors and readers imagine positions at odds with the geopolitical field. She has taught courses on global modernisms, history of the novel, body theory, Atlantic-world race studies, and postcolonial global studies. Her current projects develop an “inter-imperial” framework of analysis, including in her book in progress and recent essays (see "Dialectics in the Longer Durée" Globalizations 11.5, Oct 2014). Doyle also integrates existential philosophy into her work, including the thought of Maurice Merleau-Ponty and Frantz Fanon (Bodies of Resistance and the essay “Toward a Philosophy of Transnationalism”). 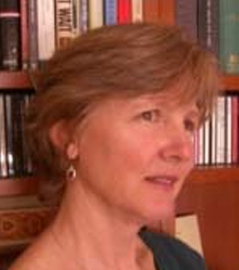 Doyle has served as Associate Dean of the College of Humanities and Fine Arts, and she has been involved in the University's Center for Teaching, offering workshops for graduate students on leading discussion and facilitating a campus-wide Faculty Book Club on books related to teaching and the university. Mondays 2:30-3:45, Tuesdays 1-2, and by appointment.